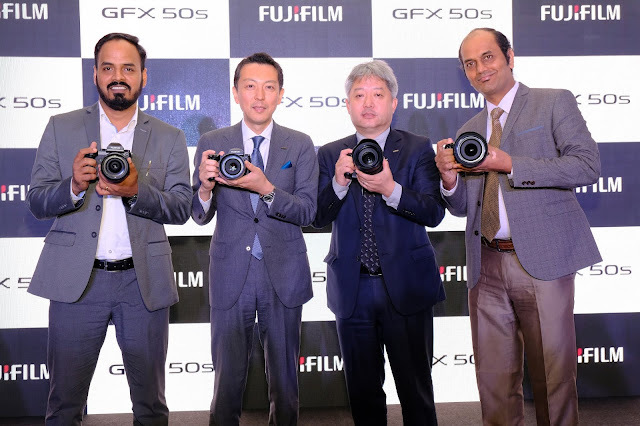 Fujifilm India announced the launch of its medium format mirrorless camera, the GFX50s at an event in Mumbai. 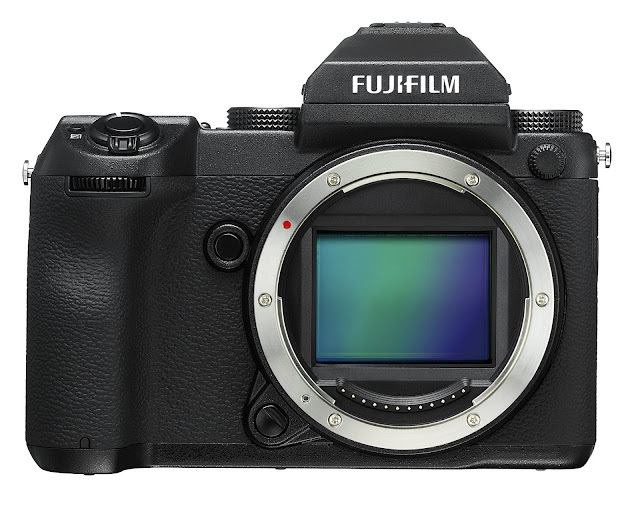 It adopts a 43.8ｘ32.9mm medium format (FUJIFILM G Format) sensor, which is larger than full frame found on other cameras. Fujifilm is also unveiled FUJINON GF Lens series, which includes seven interchangeable lenses- GF23mmF4 RLM WR, GF45mmF 2.8R WR, GF63mmF2.8 R WR, GF110mmF2 R LM WR, GF120mmF4 R LM OIS WR macro, GF250mmF4 R LM OIS WR and GF32-64mmF4 R LM WR. The newly announced device is equipped with a 43.8mm x 32.9mm, 51.4 MP CMOS sensor, boasting approx. 1.7x the area of full frame sensors. This helps in achieving better quality images compared to full frame DSLRs with similar megapixel count. The camera comes with the latest X-Processor Pro which enables user to experience the highly acclaimed Film Simulation. It supports movie recording up to FHD resolution at 30fps. It features a 3.69 million dot detachable electronic viewfinder and 2.36 million dot touchscreen panel with support for three directional tilt. All these features come in a package weighing just around 1230 grams with a GF63mm F2.8 lens, which is just 60% of a medium format DSLR camera. Also See: Vivo X21 - First Phone with In-Display Fingerprint Scanner Phone launched in India For Rs.35,990.